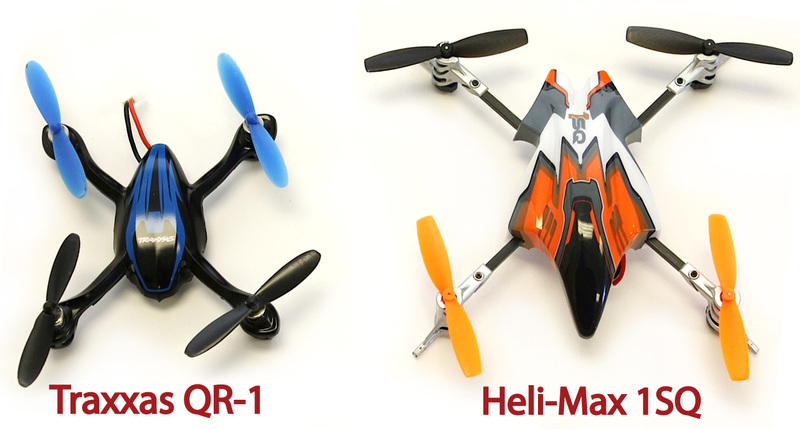 The Heli-Max 1SQ and the Traxxas QR-1 are the latest in quad rotor helicopters. 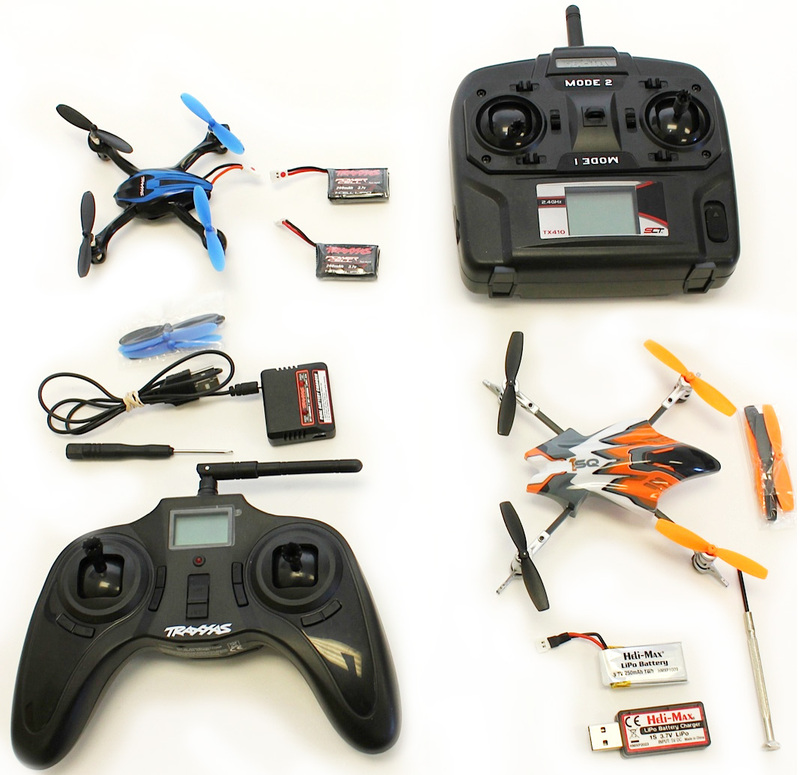 Because of the quad rotor design, they are considered fairly easy for the beginner to fly. Both are palm sized, the 1SQ being slightly larger and are both ready to fly, including extra rotor blades, a USB port type charger and battery. The QR-1 includes an extra battery, as well. The Traxxas QR-1 is the easier of the two to fly, out of the box. Controls are toned down by comparison to the 1SQ initially, which gives the beginner a little more time to react and adjust. After experience is gained, the controller can be changed to expert flight mode, which is much faster and more responsive. This allows flying back and front flip’s and barrel rolls. The LED lights do add cool factor, and it is nice that there are many body and blade color choices allowing for customization. The Heli-Max 1SQ has the hotter setup out of the box. Where Traxxas has two flight modes, normal and expert, Heli-Max has adjustable rates from 30 (mild) to 40 (hot). Set at 38 from the factory, this allows stepping up how aggressive it will fly in smaller steps, as opposed to one big step. Also, the 1SQ is AnyLink compatible, which means it can be used with after market radio manufacturer’s transmitter’s, such as, Futaba, Spektrum, JR and Hitec. Since the 1SQ is AnyLink adaptable it is available in a TX-R version that is less expensive since you will be providing your own transmitter. Both helicopter’s include a set of instructions going over operation, as well as explaining how to adjust flight modes or rates. Because we guarantee all RC items to break, both include exploded view diagrams and corresponding part numbers that allow for fast and accurate parts replacement. Fixing either quad is a simple task requiring a Philips screw driver, included with both kits. The one exception would be that on the Traxxas QR-1, motor replacement’s will require soldering skills, that may better left to the hobby shop’s to replace.